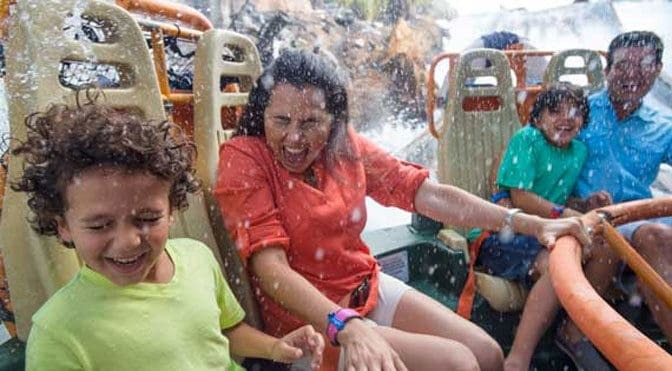 This summer, the 4 Park Magic Ticket is a great way to experience all that’s new in each Walt Disney World® Theme Park. This value-packed, limited-time ticket is only $79 per day plus tax and gives you one admission to each of the four theme parks on four separate days starting Now through September 30, 2017. Tickets are valid for one day of admission to Magic Kingdom® Park, one day of admission to Epcot®, one day of admission to Disney’s Animal Kingdom® Theme Park and one day of admission to Disney’s Hollywood Studios® on four separate days and may not be used to enter the same Park more than once. Total ticket price is $316 per adult and $296 per child (ages 3 to 9), plus tax (that’s a savings of $34). Purchase from March 22, 2017 through July 30, 2017. Tickets are valid for admission April 30, 2017 through September 30, 2017. Ticket expires 14 days from first use or by September 30, 2017, whichever comes first. Ticket permits reentry to the same park on the same day. *The 4 Park Magic Ticket is valid for a total of four admissions to the Walt Disney World Theme Parks and can be used to enter each Theme Park only once. Tickets are valid for one day of admission to Magic Kingdom Park, one day of admission to Epcot, one day of admission to Disney’s Animal Kingdom Theme Park and one day of admission to Disney’s Hollywood Studios on four separate days and may not be used to enter the same Park more than once. Ticket valid for purchase through 7/30/17. Valid for Theme Park admission 4/30 – 9/30/17. Tickets must be used within 14 days of first use or by 9/30/17. Tickets are nonrefundable, nontransferable and exclude activities/events separately priced.